Here's a smartphone comparison you've been waiting for the Motorola Droid Razr goes against Apple's iPhone 4S. A lot is at stake when you consider these two very thin phones that are the opposite of each other. 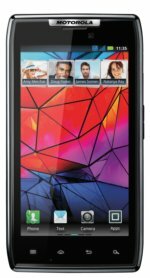 For starters, the Droid Razr run's on Google Android OS Gingerbread and will shortly have the newest version of Ice Cream Sandwich while the iPhone 4S has iOS 5 which has recently been tweaked to fix the battery life issue. Clearly, you know the operating system is completely different between these two devices. If you want a completely unified and seamless experience then you'll definitely want the Apple product. On the otherhand, Android cannot be knocked if you're the type who wants more customization of your user experience. At one point the app store was a huge selling point but not anymore, both Android and iOS have more than enough apps to keep you fully occupied. In this smartphone comparison one of the first things to catch your attention would be the form factor and design of each smart phone. From a dimension perspective the Motorola Droid Razr is larger and get this actually slimmer than the iPhone 4S. When you're the underdog you have time to design a new product to compete toe-to-toe against one of the industry leaders in Apple. If you like the feel of diamond-cut aluminum and sharp edges then the Droid Razr is the phone for you. Some of its selling points include tapered corners, a stainless steel core (guess don't have to worry about dropping) and once again the rugged theme prevails in a laser-cut Kevlar fiber that composes the Droid Razr. 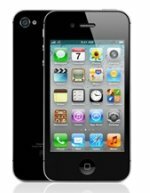 Apple's iPhone 4S is more subtle with a stainless steel band framing your phone along with a glass backing. As you can tell, if you're accident prone you may want to avoid the iPhone 4S because glass does indeed crack and shatter when it drops. If you're not aware the iPhone is now available on multiple phone carriers including Verizon Wireless and Motorola has taken full advantage of this fact. You see the Motorola Droid Razr is a 4G LTE device meaning it blows the iPhone 4S right out of the water in this smartphone comparison because Apple phones are only 3G capable. To put this in perspective in your smartphone comparison you can take a look at download speeds. On the Droid Razr download speeds were anywhere from 3 to 16 Mbps while the iPhone 4S clocked a very slow 0.76 Mbps. The Droid Razr packs even more it can actually function as a tablet device too. If you are into accessories you can go ahead and turn the Motorola Droid Razr into a laptop after purchasing a laptop dock. As you can tell you really can't go wrong with this added functionality. Siri is the virtual personal assistant found on iOS for your iPhone 4S and this was once a distinguishing factor but not any longer. Remember Siri is only a software application so it was bound to meet its match in an Android form. Cluzee is the Android Siri alternative and in certain respects actually out performs Siri. So now you have a lot to think about when deciding on this smartphone comparison between the Motorola Droid Razr and Apple iPhone 4S, so let's jump into a side-by-side spec comparison. After careful deliberation in this smartphone comparison I'd have to say the Motorola Droid Razr outdoes the Apple iPhone 4S based purely on the specs and everything that you can do with each smartphone. Obviously, this is just a recommendation and you are free to choose whichever device will best meet your needs. If you absolutely love everything that comes out of Cupertino then by all means stick with Apple. But if you're on the fence and willing to experiment a little bit then the Droid Razr may be the best avenue for you. Overall, it will be very hard for you to go wrong with any of these smartphones. They both get the job done and then some. I'm confident you'll be satisfied no matter what.